The result of a major schools design initiative funded by the DfES, this project challenged the way classrooms were used and proposed a new model for the future. The new classrooms did not intend to be stand alone prototypes, but rather a proposal developed closely relationed to the setting, the existing building and the daily routines of teachers and pupils. The material quality of the building was key to delivering a healthy and engaging building. The themes of nature and technology were central to the design of the two classrooms; Natural materials were employed by utilising contemporary building technologies. The classrooms were designed to embrace new learning tools whilst still allowing children to experience the natural and sensory aspects of their surroundings. A close relationship between the internal and external spaces aimed to encourage the school to expand its learning environment. 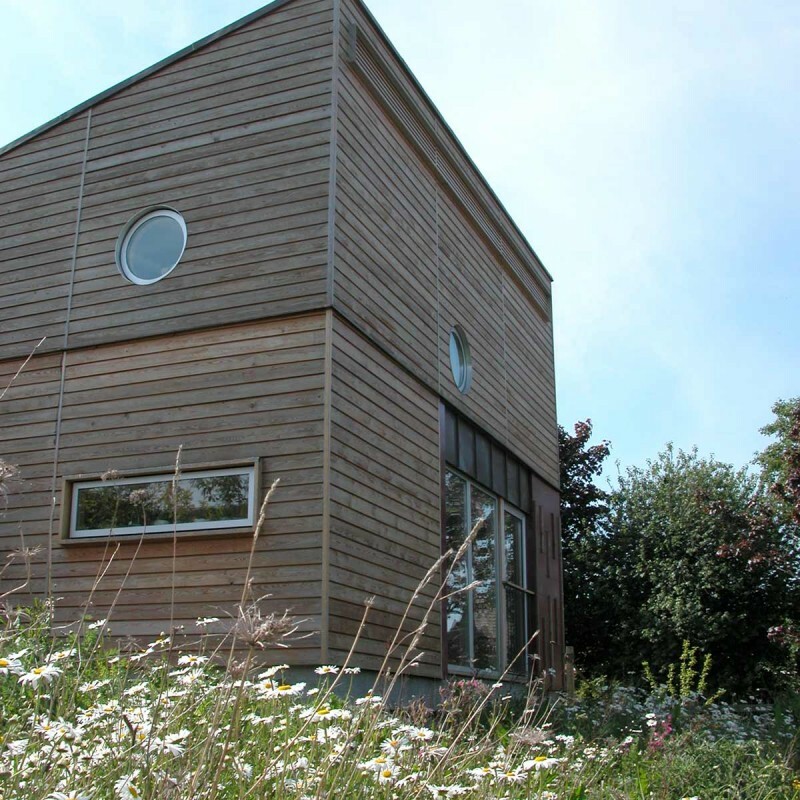 Doors lead from the classrooms into a learning garden with access to a wild flower meadow and deck over a rainwater pond, both aimed at supporting creative and science teaching. The children helped to produce stepping stones across the teaching lawn. The material quality of the building was key to delivering a healthy and engaging building. From worktops made from recycled plastic bottles and cellulose insulation to timber lined walls and sheep-wool carpets in the story balcony.